In my case 'all over the world' gets replaced by 'in my backyard'.... I had once come across this quote while surfing through some sites for quotes. And found it apt, simple yet something that made so much sense. I want to roam all over the world making memories and have already embarked on it :-).... While planning for it, I realized that there is so much to see in my own country. So why not start from here itself! And we have been travelling for some time now. We come back from a short trip to the mountains and hills and I find myself planning for the next! Do I sound crazy? Possible! Looks like I am a victim of 'travel-mania'! The travel bug has gotten to me with all its strength and isn't leaving me at all! To top it all, I have been lucky to live in Bangalore; the city spoils one for choice of destinations! There are n number of places around here to take a pick from. Well, there is a little history behind the name of the place, Red Hills. 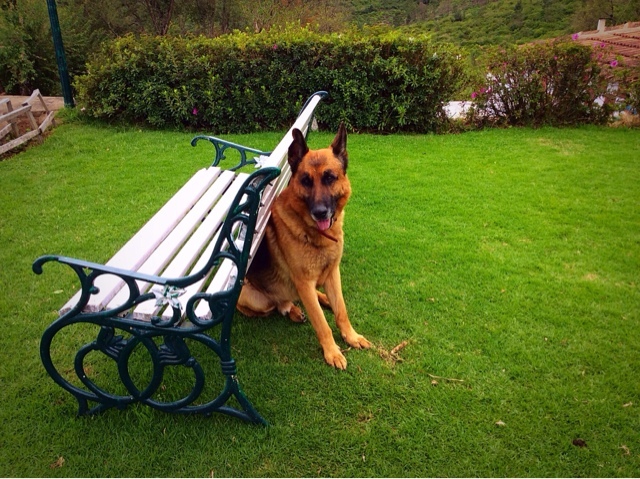 According to Vijay Kumar, who owns this magnificent place, ' Willie Collins came from Red Hills in England. This place reminded him of his place and he named this as Red Hills.' As you keep reading on, you will know who Willie Collins was and have more information on this splendid property of Mr.Vijay Kumar. I read about this beautiful place in a few sites. And armed with all these information and reviews from the various guests who lived in this gorgeous property, we chose the place. 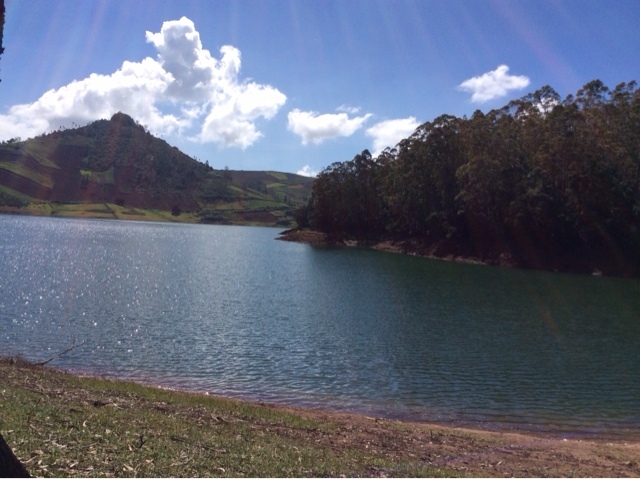 We had visited this part of the Nilgiris before and were absolutely blown over by the magnificent scenic beauty! The emerald green water of the Lake Emerald blew us away completely! What a spectacular sight it was! Straight out of a travel magazine; on the other side, Lake Avalanche made a pretty picture with its forested islands and meandering course. The verdant vegetation all around, the lakes visible through the trunks of the tall trees; oh! I would say this would be a painter's delight! Such places can soothe our tired minds :-)...such visits can be so relaxing. Our drive up to Red Hills, though tiring physically was relaxing mentally ! Once there, we fell in love with the place instantly. The bungalows resembling those of the colonial style with high ceilings, large windows, fireplaces, wooden flooring, a neat little sit-out, all added to make the place even more charming. What caught my fancy was the dining room with a view of a tall peak, shooting straight up. 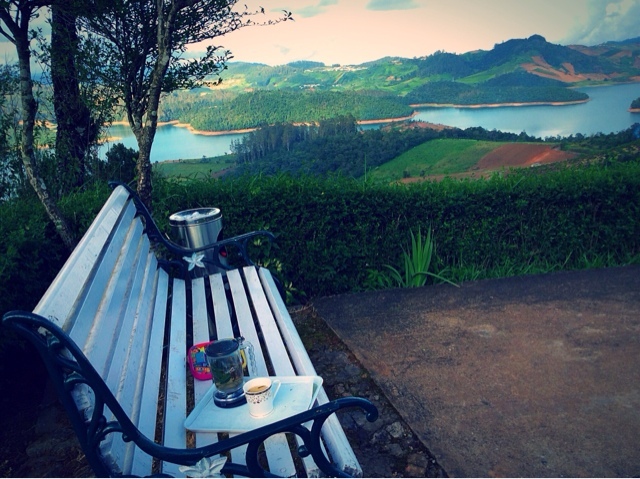 The table by the window overlooking the mountain was to be my place for the next two days! I had already made up my mind the moment I saw this! Every time I sat there for my meals, I felt as if I was traveling by train through the Swiss countryside. I know this might sound strange to most but my imagination ran wild. The numerous times I have read Heidi can be squarely blamed for this fertile imagination! So that was the story of the dining room. And now comes those benches with a view. I call them' the benches with a view'! The white painted benches on the green carpet of the grass with the meandering lake Emerald is something I shall not be forgetting anytime soon! 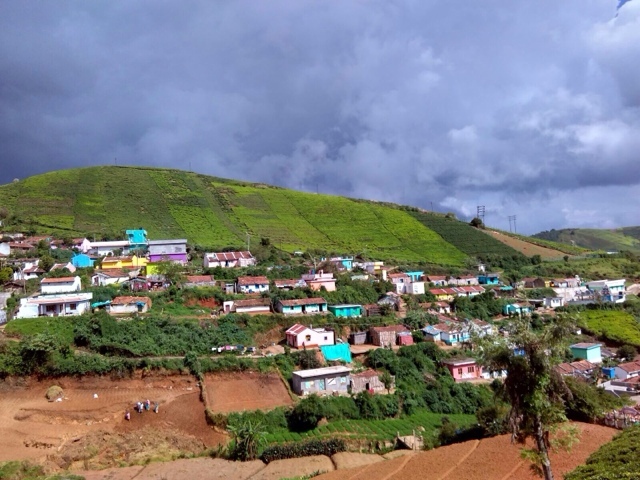 As I write about Red Hills here, I would like to include a few things about the estate as has been told to me by Mr. Vijay who owns the place. In his words, " The property was established by Willie Collins in the year 1875. My dad bought the property in 1937. It was my family home and I was born in this house. In 1992 we opened this place for guests as a home stay and we continue to do so." The star attraction was Lake Emerald. It was cloudy as can be seen and most of the photographs have been clicked in the regular setting. Can you spot the waterfalls? top of the world........We trekked up, huffing and puffing as we climbed up to have this magnificent view! at the top of the mountain ( ? )......... I would love to believe that I climbed a mountain! What a pretty sight these wild flowers made! To me, seeing is believing! The mountains in the background, the wild flowers strewn all along our way, the tricky climb up, all made for a glorious morning! And here come the clouds like a whiff of smoke ! 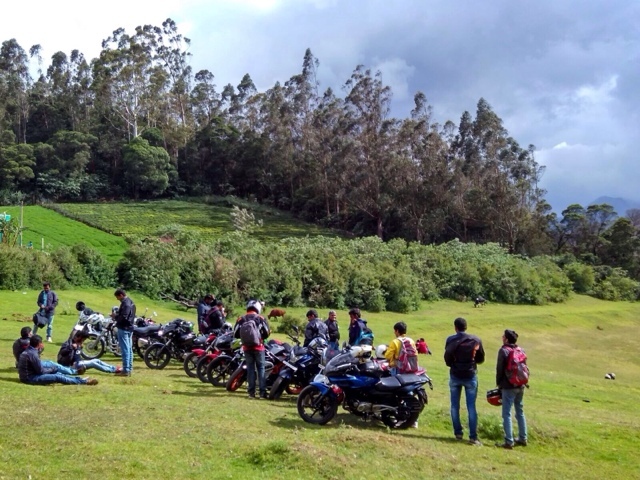 A group of bikers stopped by Lake Avalanche to enjoy the beauty and made for an interesting photograph! And look at those colourful houses on the slopes of the hills! The mountains behind me and the lake in front of me ; I couldn't have asked for anything better! And finally Moby here! The friendliest one I've ever come across! 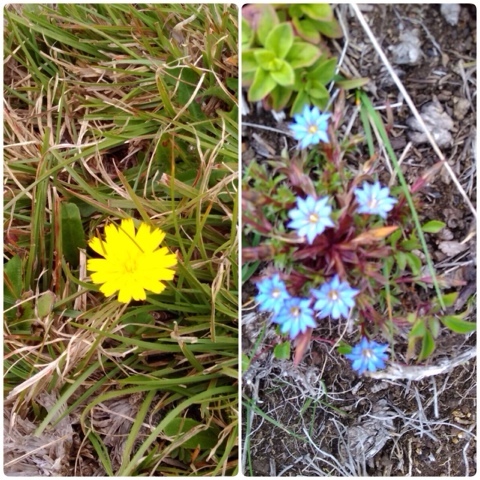 Beautifully written.I love the blue colred wild flowers, they look so unique, so rare is such a color. Often words are less for the beauty of Mother Nature. Though your lovely write ups did complete justice. You are one lucky lady to enjoy your own backyard. Breathtaking pictures are narrating a complete saga of the place. Thank you for sharing. Thank you Pinkz! Glad you liked it :-) ....it is indeed a beautiful place. Thanks for stopping by! Lovely Bandana. 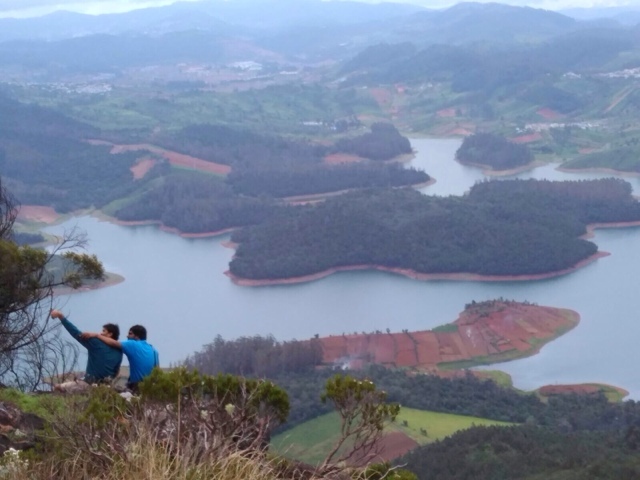 Last time when we visited ooty, we had plans of visiting lake emerald and avalanche but missed out due to some emergency. I can see they are so pretty. The wild flowers, greenery, the colorful houses on the slope.. Beauty in every inch. 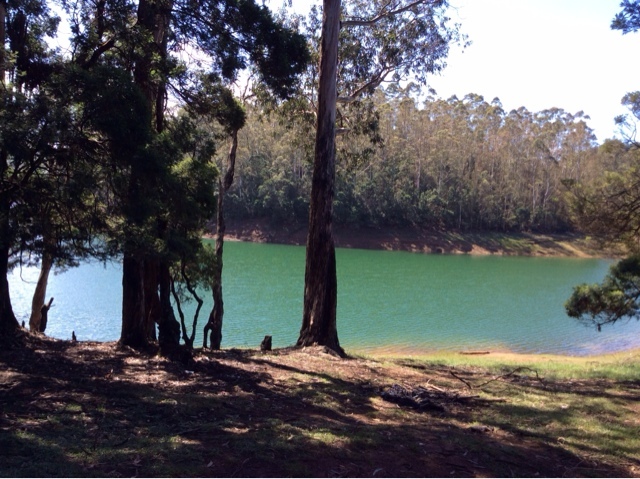 We just came back from Ooty. After seeing all the photographs posted by you, I just wanted to see the Red Hills. We didn't stay there, and I am sure even if we wanted we could not have stayed there as the place was fully booked by a group from Kerala. Anyway, we saw them leaving the resort while we were struggling to reach that place, but they told us not to worry for though the road was bad it we would be able to manage. 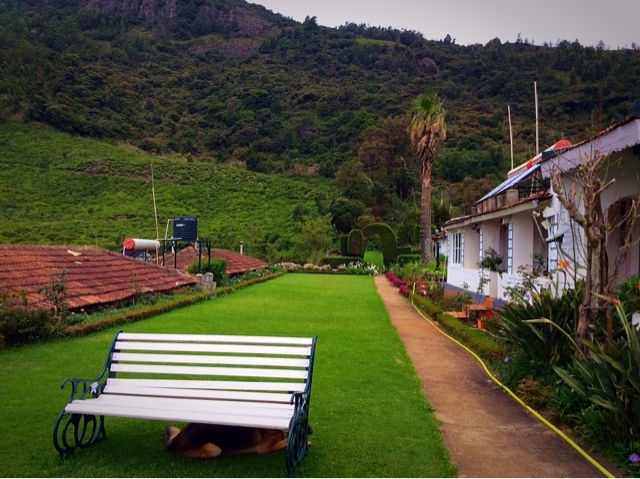 We reached the place and was showed all the rooms and we had a wonderful time admiring the serene beauty of this place, had a good time playing with the GR Mica, had tea and came down back to Ooty. Thanks to you, otherwise we would have never seen such beauty. Ramadidi, I am so glad that you made it to Red Hills.I love this place dearly and am waiting to go back once again very soon.